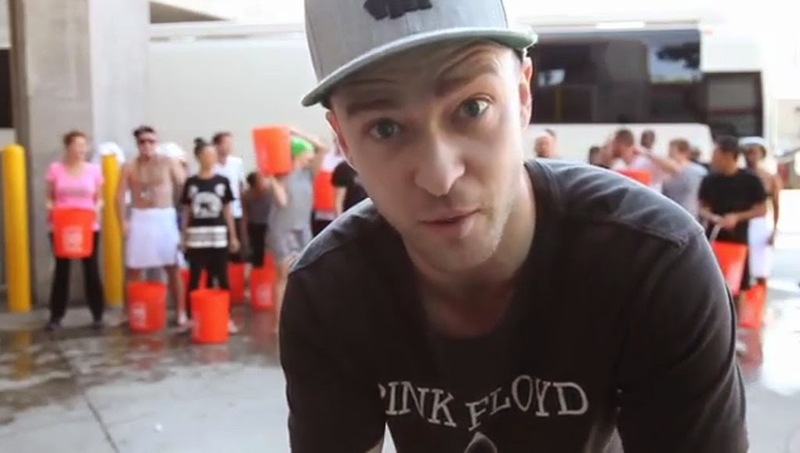 Dailybuzz.ch: Justin Timberlake Takes The Ice Bucket Challenge — Can You Guess Who He Nominated? Justin Timberlake Takes The Ice Bucket Challenge — Can You Guess Who He Nominated? Justin Timberlake is the latest celebrity to accept the ALS Ice Bucket Challenge! The singer, along with his band The Tennessee Kids, drenched himself in cold water to benefit the cause, which has been trending worldwide over the past couple of weeks; people are nominated by their friends to go through with the stunt and share video proof via social media within 24 hours. If they don't follow through, they're encouraged to at least make a donation to ALS Association. So far, stars like Ansel Elgort, Elizabeth Banks, and even Martha Stewart have gotten in on the freezing-cold fun, as did Justin's former *NSYNC bandmate Lance Bass. Justin, however, took the opportunity to nominate his longtime friend Jimmy Fallon and the Tonight Show bandleader Questlove to carry on the challenge next. Seeing as Justin posted his video on Monday afternoon (and sadly kept his shirt on), it looks like the clock is ticking for Jimmy and the Roots frontman to respond. Can we look forward to seeing them go through with the stunt on Tuesday's episode? Watch Justin's ALS Ice Bucket Challenge video below now.